Microbes and minerals, oh my! This one is going to be hard to get through without jargon! So I will start of by saying this project was done using an instrument that will be on the Mars 2020 rover: a spectroscopic means of identifying organic compounds. It uses a fancy laser of a wavelength in the deep UV (<260 nm) and that’s pretty cool. Stay tuned for the first publication looking at the spectral information we see from various normal microbes (Wanger et al. hopefully soon). But in addition to the ground work in laboratory microbes, we also wanted to test this instruments to tell us something about microbe and minerals in the environment. So we took some known minerals and turned them into slides that we sterilized and then measured their spectral features. 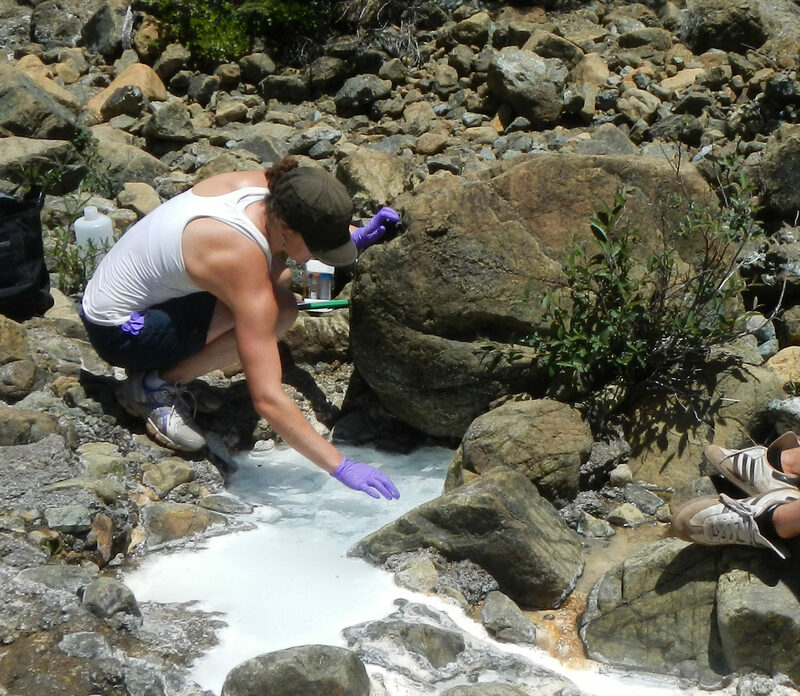 Then, we incubated them in the environment; using our trusty serpentinizing spring because the microbial community is well studied, not terribly diverse, and the environment is hostile (pH 11) to most normal microbes. We then re-measured the spectral features of the mineral slides again to see if: 1) there are microbes attaching, 2) there is anything interesting about where the microbes are attaching, and/or 3) the microbes change the mineral at all. 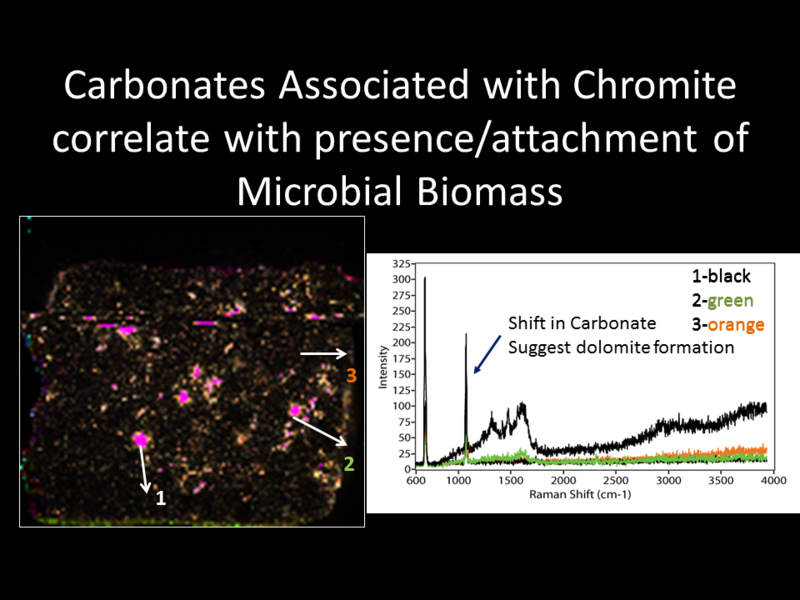 To make a long story short, the answer to all the above questions is yes, but the most interesting thing we observed was that we saw the microbes correlating with a precipitation of dolomite (a carbonate mineral). This is cool because there is a lot of dolomite in the rock record (or according to geologists) and because we don’t know where it comes from…Could it be a signature of microbes? In the data analysis/do we have to repeat anything phase!